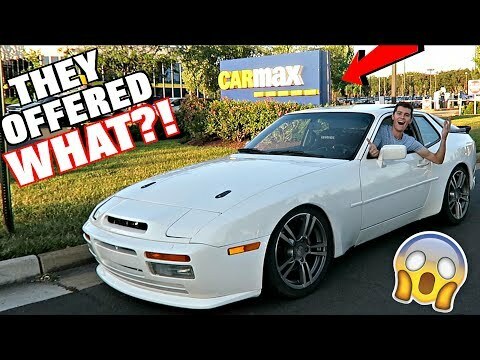 How Much Is A Chevy LS6 V8 Powered Porsche 944 Turbo Worth? 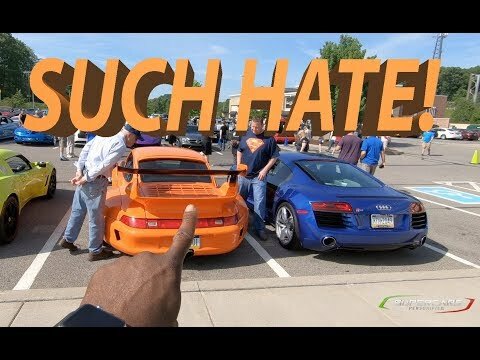 Just the thought of putting a Chevy V8 in a Porsche is enough to make any purist sick. For most of us a Porsche just isn’t a Porsche without an engine from the German performance car maker (or at least from VW / Audi). The Porsche 944 Turbo is already a pretty fast car. Especially, when you consider the time period that the 944 Turbo was produced. For a while Lexus has had the reputation as a grandparents car. The early cars were luxury cars, but they often resembled a Toyota Camry with a different badge and a nicer interior. As the Lexus brand has grown so has their cars. With the addition of the LFA to their lineup the Japanese automaker had a very nice performance car. The company that took on Mercedes and offered affordable luxury now had a car that was very expensive and could rival the performance of the Mercedes AMG SLS. They have since taken the technology that debuted in the LFA and have added an F model lineup. This includes the new 460 LS F Sport. The LS model is the flagship model for the company. They offer a lot of luxury and comfort and now with the F Sport they can compete with the AMGs and BMW Ms of the world. The Lexus LS lineup is a full sized luxury vehicle. The four door car features large doors, especially in the back. The design is very crisp and yet flowing. It has a combination of sharp angles and smooth curves to make an interesting shape. It features the hour glass shaped grille in the front that contours around the headlights. The front lights feature three lightbulbs behind the lens covers. From the back the tail lights wrap around the side of the sedan’s body coming to a point. This gives it a very modern feel and fits in with the company’s new design theme. The interior is a sea of leather. In the performance F Sport LS model you get supportive sport seats and metallic accents. For those who are more about luxury and less about performance you can get wood grain dash accents including wood grain on the steering wheel. The LS models offer an inviting interior that in the non-F Sport model just makes you feel relaxed. On the other side of the coin the LS 460 F Sport has a more driver focused interior that is a bit less about luxury and more about the experience. For those wanting to haul passengers around, the back seats of the LS lineup have plenty of room. This is especially true in the LS 600h L Hybrid. The engine is the heart of the car and the Lexus LS lineup offers some fairly powerful engines. In the flagship LS 600h L Hybrid the 5-liter V8 and electric motors team up to put out 438 horsepower. Which it puts to good use hauling that heavy load around. If you instead opt for the standard LS 460 you get a nice 360 horsepower when you go for the all-wheel drive version. And that power goes up to 386 horsepower from a 4.6-liter V8 in the LS F Sport model. This is paired with and eight speed automatic transmission to help get all that power to the wheels. With the standard 460 and 600 models the ride is made for comfort. However, in the F Sport the suspensions has been reworks for better performance. Large Brembo brakes are utilized to help it stop from speed and they look right at home inside the 19 inch wheels. Official pricing for the 2015 models has not yet been released, but expect for the 2015 Lexus LS 460 to start $72,000 with a premium being added to the LS 460 F Sport and 600h L Hybrid. With the addition of the Lexus LS 460 F Sport, the LS models are no longer only for retired folks. With the entire Lexus model lineup looking a bit more sporty, more successful younger buyers may look at the brand. This could start a second war between Mercedes and Lexus.